Being a kid growing up in the Chicago burbs, nearly every day after school I’d turn on WGN Channel 9 to watch the Cubs game. (Day games only – the Cubs were the last MLB team to install stadium lights.) From the late 70s through the 80s, I could tell you the names and positions of nearly every player on the team, as well as their batting average and home-run count within a few points. The Cubs have gotten our hopes up before, sure, but this year seems different. They finished the season at W103–L58. That’s not just the best record in the major leagues this year, but the best the club has performed since 1910 when they won 104 games. They made it to the World Series that year, but did not win. 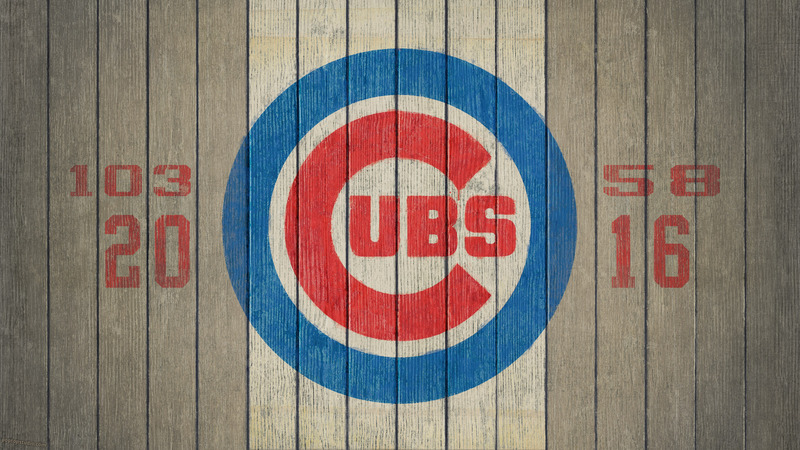 Of course, 1908 was the last year they won the World Series in which their regular season record was only 99-55. 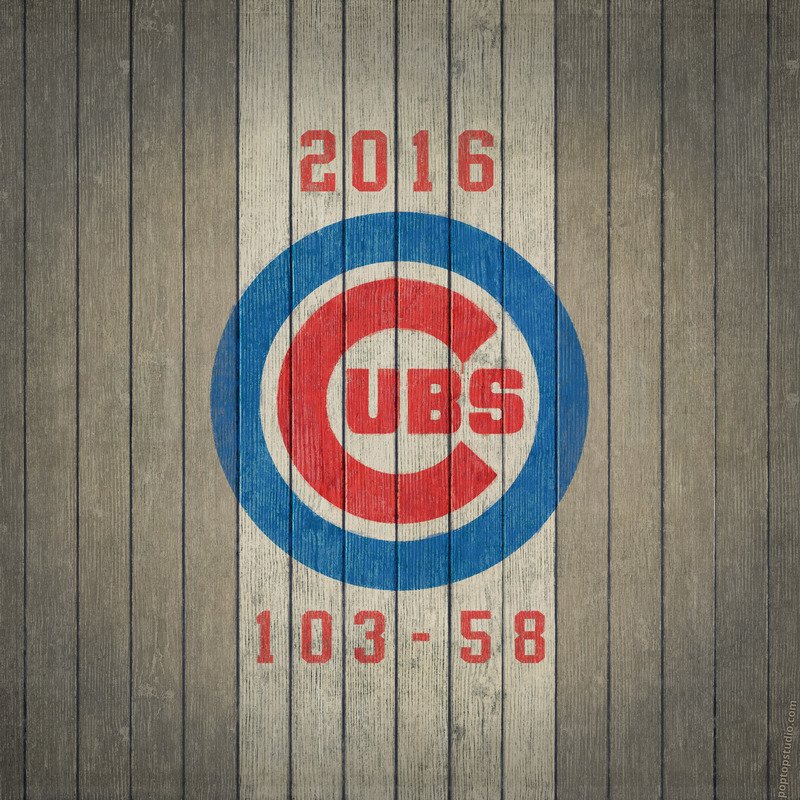 The Cubs also hold the all-time MLB record for best regular season with 116-36. They made it to the World Series that year too, but lost (as fate would have it) to the Chicago White Sox! So yes, I guess my hopes are up again. GO CUBS!! At 2400 x 2400 pixels, Wallpaper #4 is tablet-friendly and big enough to look good on any device that you throw it on. The vertically orientation of the design fits best on tablets and smartphones. PopTop Studio wallpapers are free for personal use. The Cubs logo is a registered trademark of MLB and The Chicago Cubs. This is fan art – I am not officially associated with MLB or the Cubs organization. Illustration by John Trauscht, PopTop Studio, LLC. This wallpaper is provided for free and you may freely share the link, but commercial use or redistribution is prohibited.